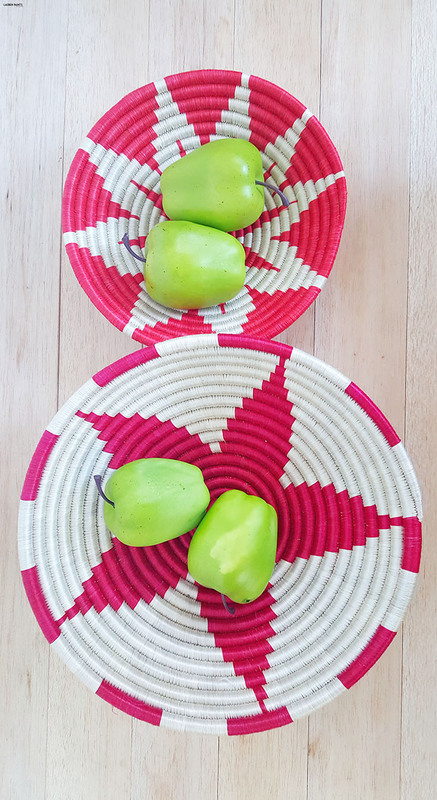 I am a member of the Everywhere Society and Everywhere has provided me with compensation in the form of the beautiful Baskets from Rwanda for this post. However, all thoughts and opinions expressed are my own. 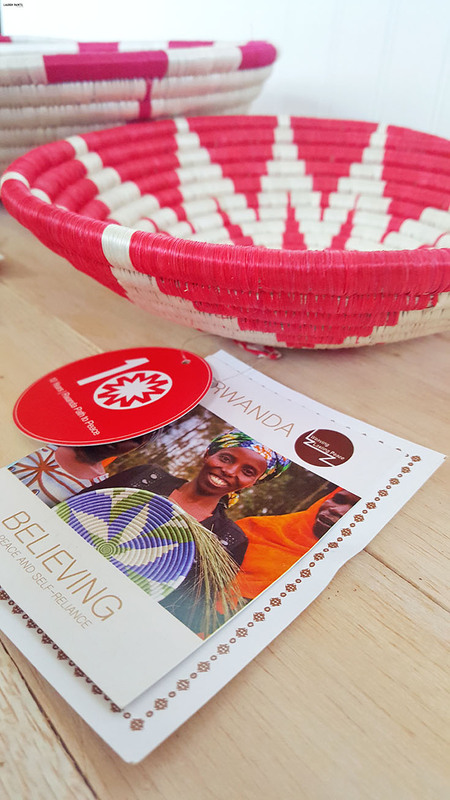 The purchase of each item from Rwanda provides the basket weavers an opportunity to improve their quality of life and puts a one-of-a-kind craft directly into your hands, it's a win-win situation for all involved! 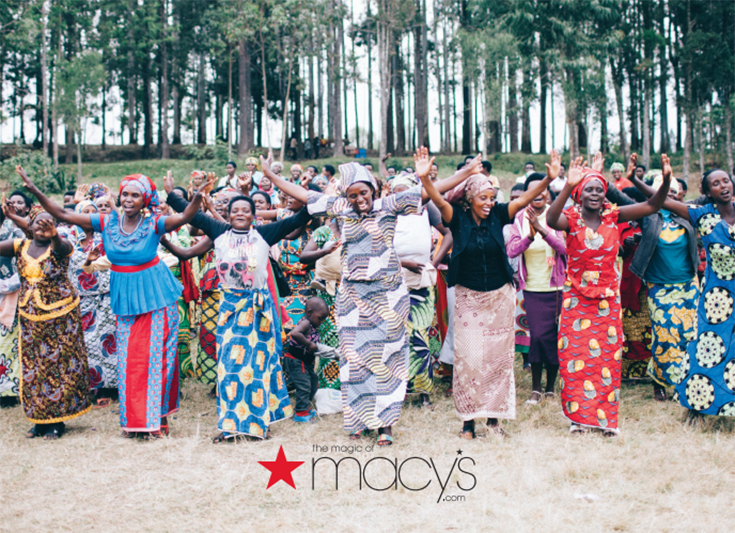 With the basket weavers earning nearly TEN times the average Rwandan wage, it's a huge help to the families in need. 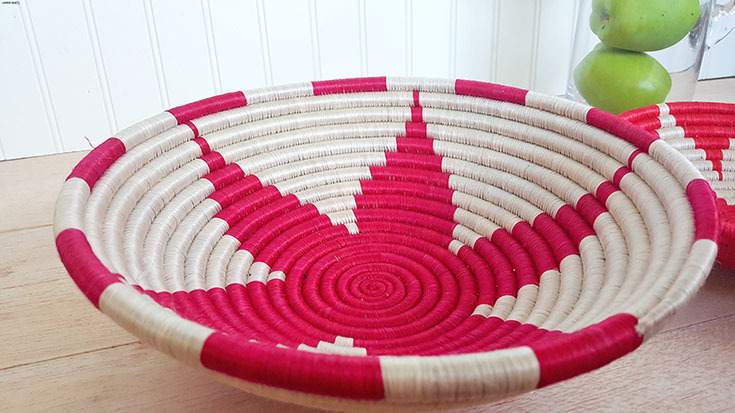 As you can imagine, each women tediously works to hand weave these baskets; with such intricate detail and a process that has been practiced in Rwanda for centuries - these baskets are truly a treasure. 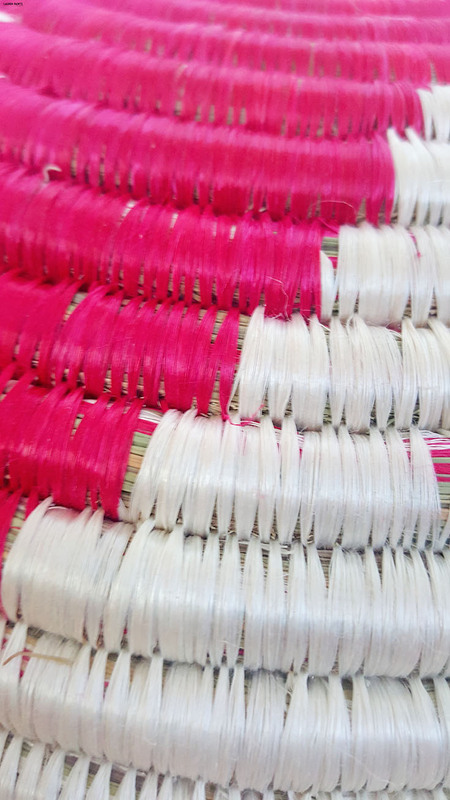 Each design is unique and painstakingly created from sisal and grass by women who learned to weave from their mothers, aunts, grandmothers, and other maternal figures. 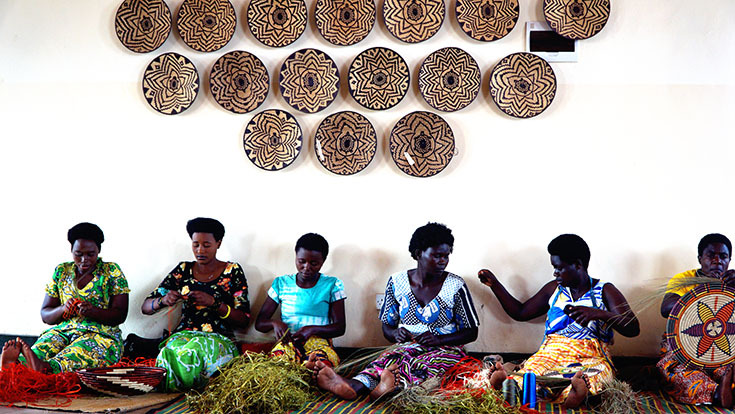 The project employs thousands of weavers who are organized throughout Rwanda. What's amazing about this fact is that every group consists of women from both sides of the 1994 Rwanda Genocide conflict, working side by side. This proves that anyone and everyone is capable of working together towards economic stability. 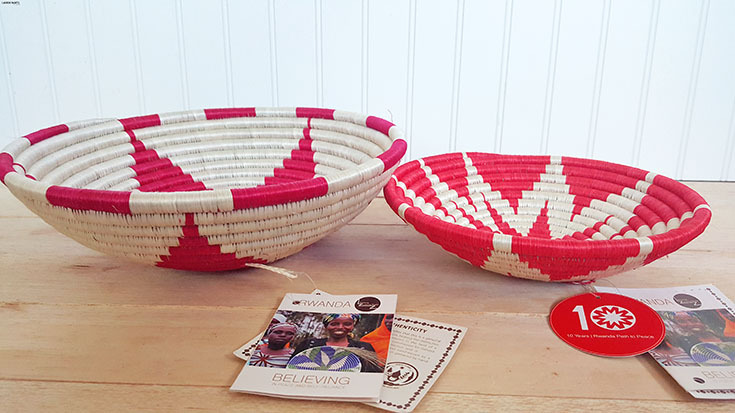 With beautiful red hues and stunning intricate patterns, I absolutely adore my new baskets and will begin collecting these baskets each year - because helping out a good cause and indulging my basket hoarding habit are two fun ways to kick off the holidays! 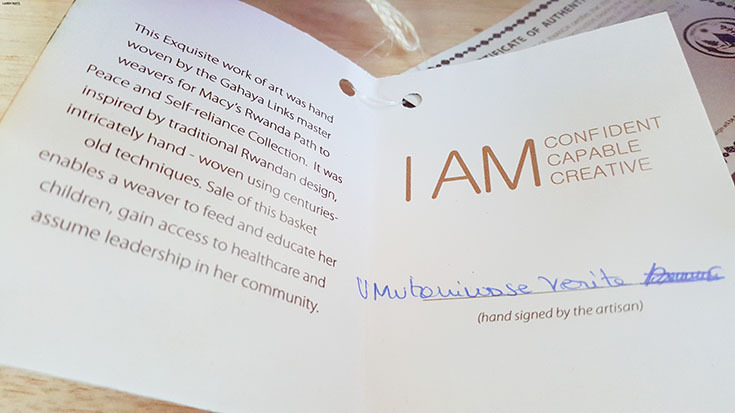 Plus, each basket is signed by it's creator, giving me an indirect look into the life of the strong women in Rwanda. Do you want to give a gift this year that truly gives back? Get all the details on these beautiful baskets and snag one for yourself and your favorite friend here. Are you interested in getting your hands on the same baskets I have pictured? The red basket on the top (in the photo below) is Macy's Special Commemorative Basket, woven to represent 10 years of peace and prosperity and is absolutely beautiful. 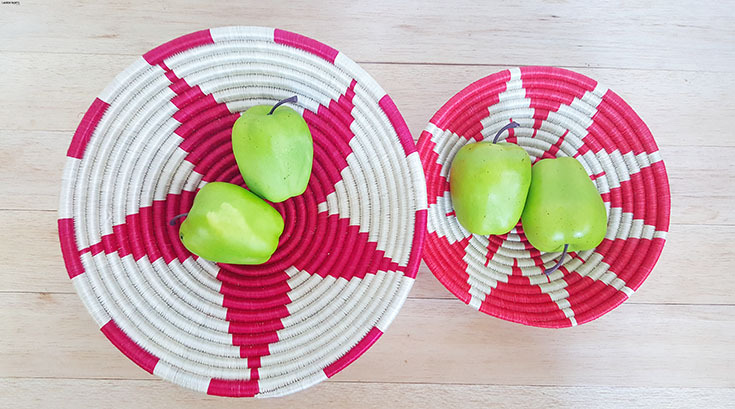 The bottom basket is the shining star fruit basket and it's absolutely stunning as well, no matter which basket you get from Macy's Rwanda Path to Peace program, I'm certain you'll love it! Want to find more awesome gifts to give over the holidays?